The 48 Volt 27 HP AC drive train is powerful enough to go over the toughest terrain without all the noise of a gas-powered engine. Nitrogen-Assisted Independent Suspension and Four-Wheel Hydraulic Brakes will keep you in full control. Built for stability and performance. 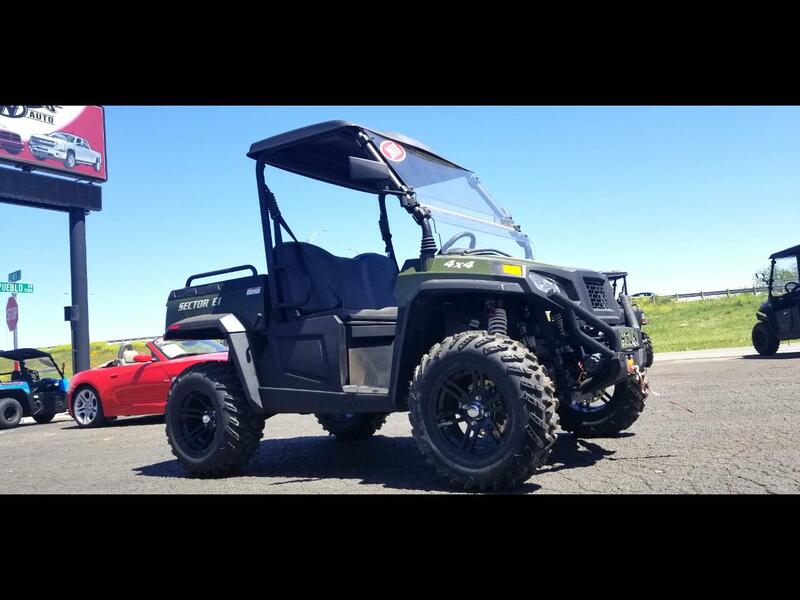 Overall Vehicle (L x W x H): 110" x 62" x 73"
Cargo Bed Dimensions (L x W x H): 30" x 41" x 11"
Message: Thought you might be interested in this 2018 HiSun Sector E-1.